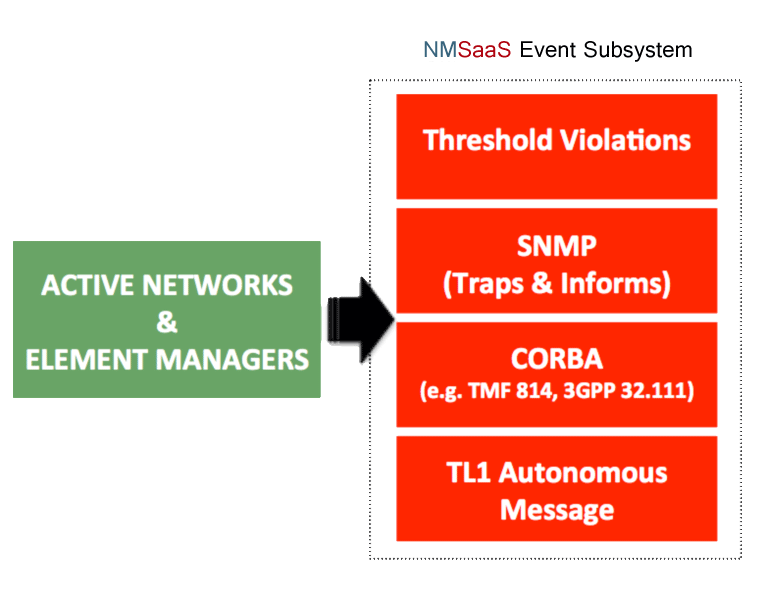 The NMSaaS Fault and Event Management solution provides automatic root cause analysis (RCA) and service impact management for all networks, systems, and services. This means engineers get to focus on service affecting events and are able to properly prioritize them. Authentic problem analysis in real-time and subsequent problem solving requires precise automation of several interacting components. NMSaaS uses threshold monitoring in conjunction with SNMP trap processing and syslog processing. The built-in RCA subsystem correlates upcoming events without the need to create or alter correlation rules. Alarm dashboards and notifications contain refined data that provides NOC engineers and managers with the logical and classifiable information they are able to work with. NMSaaS easily integrates with existing management applications and third party applications, such as trouble tickets. The NMSaaS Fault and Event Management suite can integrate with the trouble ticket application to open them upon failure detection automatically. Upon clearance of the failure, the tickets are closed. Start Your Free 30 Day Trial Now!